The quality motor and heating elements is imported, can supply natural and gentle wind, heat air uniform distribution. Easy and precisely to adjust the temperature and control the air volume. LCD display hot air temperature, blowing welding convenient. Welding or soldering can be selected according to using the different of nozzle. Suitable for most surface mount soldering and rework, such as : SOIC, CHIP, QFP, PLCC, BGA, etc. Working temperature : better not more than 450℃, otherwise will reduced the service life of the hot air gun. Tips : Before raise the "HEATER" (temperature), it's better to raise the "AIR"(air volume). 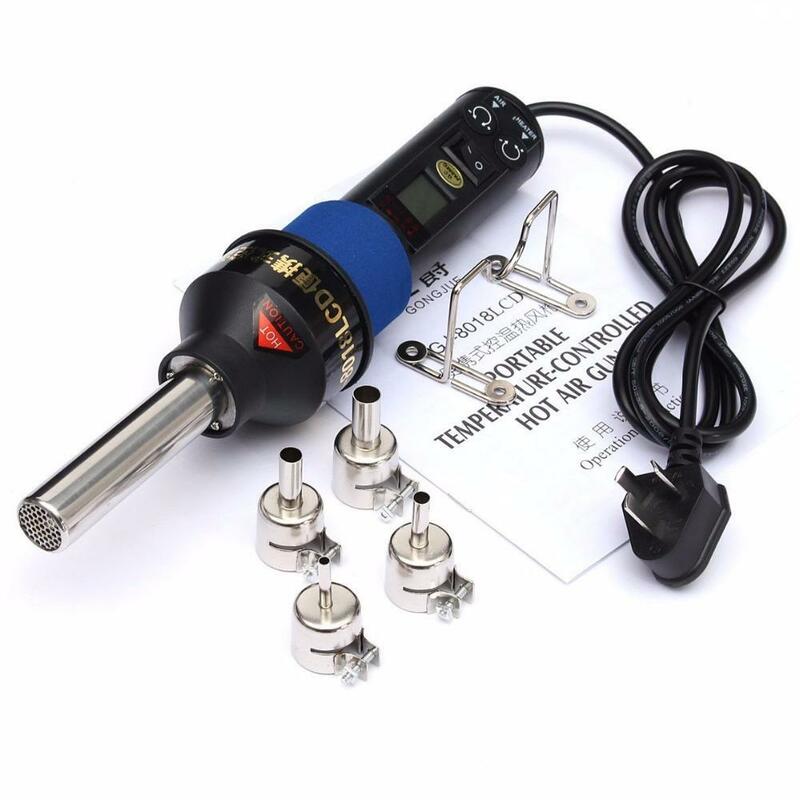 If you are the 110V voltage using country, please don't frustrate, you can find this Hot Air Gun with 110V US plug in SKU236994.